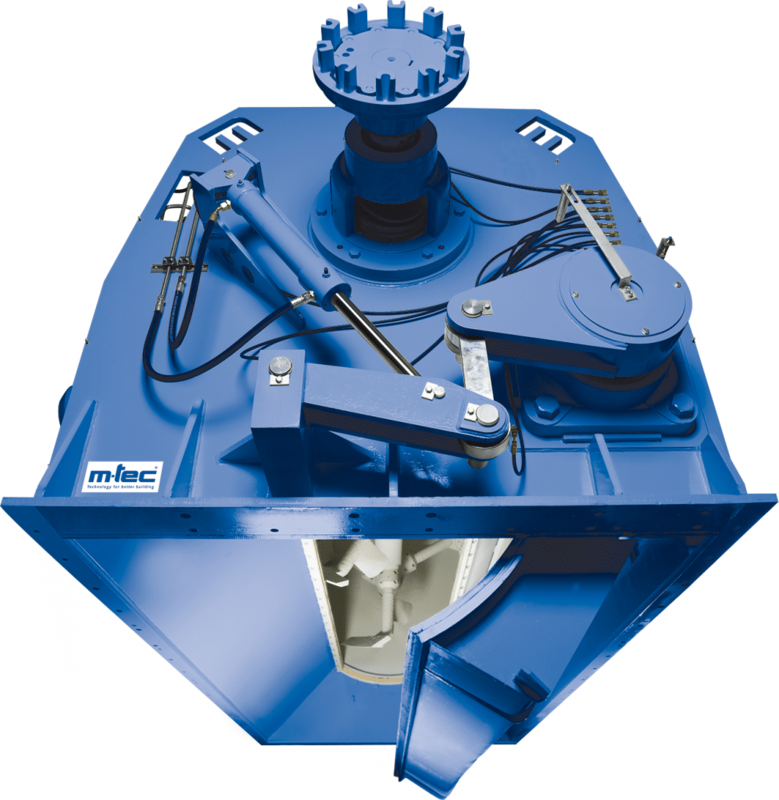 The single dump door mixer type ME – including patented discharge system. The special feature of this mixer: The knee lever system for operating the discharge flaps. This system guarantees that the flaps are mechanically locked and also prevents them from opening accidentally if the pressure drops. Another important feature is the fast opening speed, which enables complete discharge in approx. 10 seconds. This discharge system is the absolute highlight and features a patented sealing system. Our engineers placed particular emphasis on the mechanical self-cleaning properties, which make it impossible for material to become compacted at the seals. The advantage: The mixer works perfectly even when products with a high residual moisture level stick to the shell. Other impressive features from an economic perspective are the lifespan of the special elastomers used and the low maintenance costs – thanks to the segmented construction. ME Mixers are characterized by long-life mixer shaft seals. m-tec engineers also developed a sealing system ensuring the desired self-cleaning effect on the discharge flaps. For details please contact your local sales representative or dealer. Relief for subsequent conveying mechanisms thanks to quasi-continuous production. This makes it possible to use smaller and in line conveying mechanisms. Can handle almost any mixing task required with dry powders. The solution for the most mixing tasks for dry mortar. Easy installation as retrofitting system guaranteed.